The implementation of Design-for-Manufacturing (DfM) alongside the use of high quality assembly and inspection equipment minimizes the chance for assembly errors. In spite of this, however, assembly errors do occur and PCBAs must be tested to detect these errors in an effort to achieve PCBAs with zero defects. 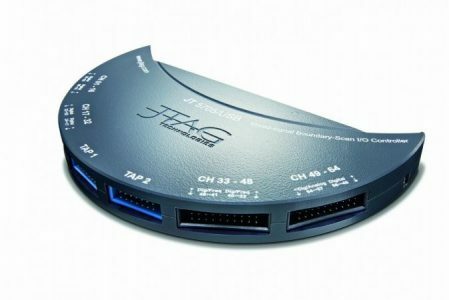 Modern designs rely on JTAG/boundary-scan for testing which offers access to a device’s pins irrespective of its package and helps to achieve optimal fault coverage. In production, when devices are programmed as part of the board configuration process, a complete range of different devices and device types must be supported. For efficiency reasons such programming should ideally be undertaken using the same hardware as used for testing. Various parameters determine the type of test and programming hardware that fits best. Such parameters include performance, form factor, integration possibilities with other test stations already in use, etc. Design-for-Test (DfT) rules serve to optimize the test process for detecting assembly errors. Modern designs rely on JTAG boundary-scan for testing. Boundary-scan in a device gives access to its pins irrespective of the device package and allows for a maximum fault coverage. 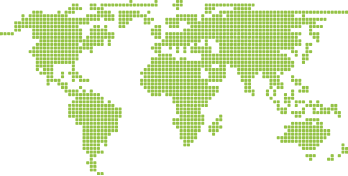 With our Testability analysis you can determine which percentage of a design can be tested with boundary-scan. Our booklet “Board DfT Guidelines” helps you to optimize the boundary-scan testability of your design. Different tests are developed to achieve the maximum fault coverage. Boundary-scan tests such as interconnect test, pull-up, pull-down resistor tests, memory cluster tests and tests of random logic devices can all be generated automatically with ProVision. With the powerful python language tests can be added for those parts of the circuit for which automatic test generation is not possible, for example sequential circuitry, ADC’s and DAC’s. Whether your design consists of a single board or comprises of multiple boards any configuration can be handled within ProVision. When a set of tests has been generated the fault coverage of this set can be calculated and compared against the testability of the design to see if additional tests are needed. Finally automatic test sequencing makes execution of the tests a simple push the button action. Possibilities to combine the various tests in a single sequence complete the ProVision development environment. Diagnostics software analyzes the detected faults and reports the cause of the faults and the nets and pins involved. With Visualizer the location of a fault can be highlighted on the layout and schematic diagram making it simple for factory repair technicians to locate the fault on the board. Depending on the type of device the programming application files can either be generated automatically or are provided as ready-to-run solutions. 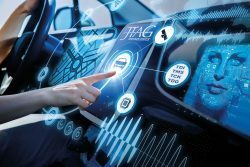 The application files for any of these device types can be executed with any JTAG Technologies’ run-time package, either stand-alone or integrated with other (test) systems. Flash memories can be programmed via the boundary-scan registers of JTAG devices connected to the flash’s address-, data-, and control lines. In a boundary-scan flash programming application the flash lines are controlled via the boundary-scan registers to deliver data and commands to the flash memory. The flash programming application files can automatically be generated with ProVision that comes with an extensive flash library. Alternatively it is possible to use the debug logic of a microprocessor to program flash memories connected to the processor bus. Programming the embedded flash of a microcontroller requires a dedicated solution for that controller. JTAG Technologies offers programming solutions for an extensive range of microcontrollers as listed in . These solutions are provided as Ready-to-Run (R2R) programming application files for direct execution with a JTAG Technologies’ run-time package. Different data formats are used for in-system programming of FPGAs and CPLDs such as SVF, JAM, STAPL and ISC IEEE 1532. PLD programming applications using the ISC IEEE 1532 format can be generated automatically with ProVision. SVF, JAM and STAPL files can directly be executed with a JTAG Technologies’ run-time package. Power Management devices using the PMBus protocol can be programmed via the boundary-scan register of a connected device. In a boundary-scan PMBus programming application a boundary-scan device acts as PMBus master to deliver data and commands to the PMBus device. The programming application files can automatically be generated with ProVision.